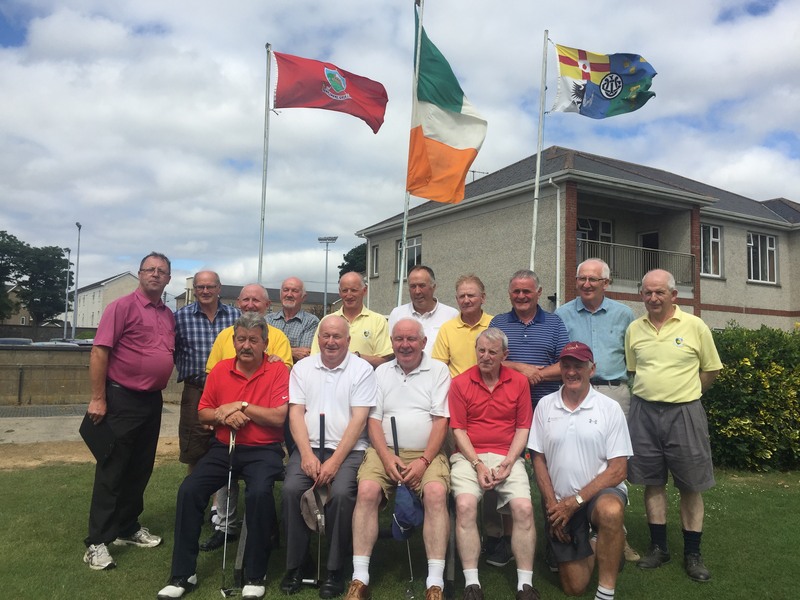 The JB Carr Victorious Team brought Castletroy to the wire; The team met Castletroy on Thursday 12th. July in Templemore. The Tee-time was 3pm. approx.. The evening was wonderful for golf and the course was in magnificent condition despite the burning weather conditions. Templemore Golf Club experienced great golf from this great team. Every member generated great energy and played with great skill. It was a great occasion for Templemore to beat a prestigious club like Castletroy who attended in great numbers. The next leg of this Munster Semi Final will be away in Castletroy on this Thursday 19th. July. The team manager Liam Leahy expressed to the Castletroy team an appreciation of their great sportsmanship and look forward to meeting again on Thursday 19th. Liam also expressed to all club members available to show their support for this team by attending in Castletroy on Thursday. Best of luck to all the team the subs and their Manager Liam Leahy. Sunday 8th. July, 18h. Stroke Play Minor and Intermediate Cups; There was intense competition in both events. The weather was excellent and created long ball distances which created great advantages. Winners; Intermediate Cup; Declan Russell. 1st. Nett. Rody Cawley. Minor Cup; John Hassett. 1st. Nett. Jerome Ryan. Presidents Prize, Phillip Ryan and Bernie Stapleton; The date has now been cast in stone for this great club event. Friday 27th. and Sat 28th. The Time Sheets are available in the locker rooms. Friday is for those that cannot compete on Saturday. Presentations of prizes will be in the Templemore Arms on Sat Night 28th. There will music, Dance, Food and Raffle to make the night a wonderful occasion for Phil and Bernie. Full support from all members will be appreciated. Diageo Mixed-V-Cahir; Congratulations to our Diageo Mixed Team on a great display of determination on Friday 13th. but not sufficient to depose the Cahir teams both at home and away. Presentation of prizes; Lady Captain, Sara Hearne in the absent of Club Captain Tommy Foley made the presentation of outstanding Men’s prizes on Wed. 11th. Competition Secretary Liam Leahy and Communication Officer Martin Bohan also congratulated all winners and thanks all for their support in attendance. Juvenile Golf Lessons; Juvenile Golf Lessons commenced on Friday 6th. July at 10am. All Juveniles are encouraged by the Club Juvenile Officer Pat O’Connell to continue playing over school breaks and the summer months. Any information required or those who would still like to enrol, contact Pat O’Connell 087 9205821. Adopt a Bunker; Adopting a Bunkers is helping to keep the course in great shape. Put your stamp on any bunker you feel that you can commit to looking after and resulting in the presentation of the course to a high standard. Boyne Trophy; Templemore -V- New Ross home and away. A great sporting match, Templemore lost their final match in New Ross on Sunday 8th. despite a great effort by everyone. Team at home; Sadie Tynan, Mary Ryan, Ann O’Rourke, Mary Ann Maher. Away in New Ross; Josie Bourke, Mary Lou Carroll, Sheila Delaney, Margie Costigan, Kathleen Maher, Bernie Stapleton. Senior Ladies on Monday 2nd, July;. 1st. Anna Russell. Social Mixed on Wed. 11th. July; Best Gross. Joe Fahy, Michael Webster, Mary O’Connor, Sadie Tynan. Best Nett; Shelia Keely, Shelia Delaney, Ambrose Purcell. The Social Mixed continues every Wednesday evening with the draw at 6.30. The great course condition is bringing out great numbers for this great social event. Everyone is encouraged to bring a friend Lady or Gent, also it’s an ideal opportunity for those that want to return to the game of golf. Spring League; 1st. Team 3; Ann O’Rourke, Margie Costigan, Kay Brennan. 2nd.Team 7; Sadie Tynan, Bernie Stapleton, Mary Hogan. 3rd. Team 5; Kathlean Maher, Mary Ryan, Kathlean Collier. Individual Wins; Week 1; Josie Bourke. Week 2; Shelia Deleney. Week 3; Sara Hearne. Men’s Prize to Ladies; 1st. Sadie Tynan. 2nd. Shelia Delaney. 3rd. Michelle Hassett. 8th. May; 1st. Mary Lou Carroll. 2nd. Sadie Tynan. 15th. May; 1st. Ann O’Rourke. 2nd. Kathleen Maher. 3rd. Shelia Delaney. 22nd. May. 1st. Mary Hayes. 2nd. Kathleen Maher. 29th. May. 1st. Margaret Deegan. 2nd. Shelia Delaney. 5th. June, Peters Fruit and Veg; 1st. Ann O’Rourke, 2nd. Kay Brennan, 3rd. Sadie Tynan. 19th. June; 1st. Mary Ann Maher. 2nd. Mary Hayes. 26th. June. Eurostar; 1st. Bernie Stapleton. 2nd. Margie Costigan. 3rd. Josie Bourke. The Seniors; A fantastic event for retired golfers to return to the game with like-minded golfers, Results are as follows for Thursday, 12th. July. ; 1st. Team; Joe O’Connor, Seamus Ryan, Pat Maher, John Mullaly. 2nd Team; Pat Dunne, Paddy Nolan, Pat O’Connell. Mick Carey. 3rd. Team; Sean Lee, Tony O’Toole, Frank Shortt. Best of Luck; John Stapleton expressed on behalf of all the seniors the best of luck to the JB Carr team on next Thursday 19th. July -v-Castletroy in Castletroy on their quest to gain a Munster title. Also to Presidents Phil Ryan and Bernie Stapleton on their President week 27th and 28th. July. Next Seniors on Thursday 12th. July. 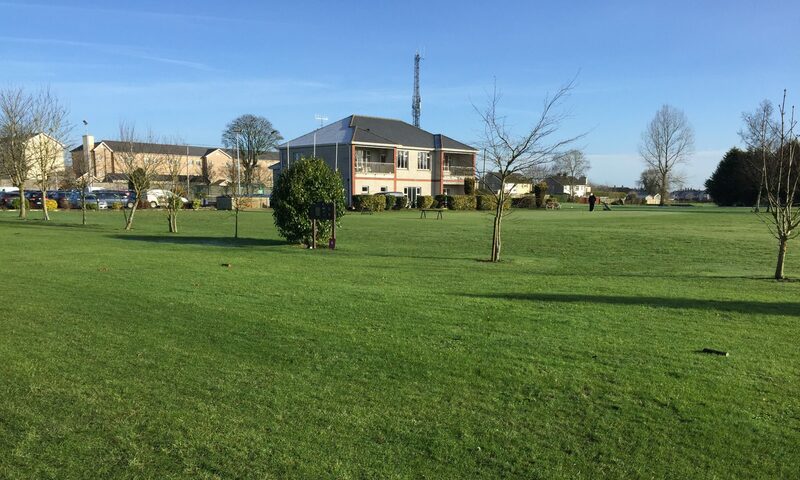 LMC; Templemore Golf Club Seniors currently in the top 10-11 placings are; Pat O’Connell 180, Liam Daly 176, Bertie Keane 173, Bernie O’ Rourke 168. A space to watch. Well done to all and continued success.